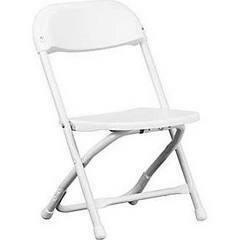 One white kids chair, folding. Goes with kids 4' folding tables. Tables, chairs, and concessions are not eligible for discounts.